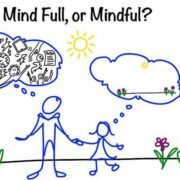 Everyone is welcome to a free mindfulness workshop on Saturday August 4th at St. Columba’s Hospital (Education centre) The workshop is open to all, those with and without previous experience and will be facilitated by Mar Healy from Mental Health Ireland. The mediated Lived Lives art exhibition tours to open the conversation about suicide are taking place in Manorhamilton next week. The mediated tour of the exhibition will take approximately 90 minutes and is limited to 20 participants…..
World Mental Health Week takes place from the 8th-15th October this year. 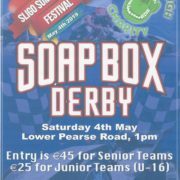 To celebrate the week a programme of events have been organised across Counties Sligo and Leitrim. Everyone is encouraged to take some time out and pay attention to their wellbeing and take steps to improve it. Have a look through the booklets for each county to find something that may interest you! Sligo Mental Health Association are currently recruiting new volunteers to join with them in promoting positive mental health in the local community and supporting people experiencing mental health difficulties on their journey towards wellness…. To celebrate World Mental Health Week, Breffni Mental Health Association based in Carrick on Shannon have launched a series of self-help books, the ‘Overcoming Series’, covering topics such as low mood and depression, worry, stress and anxiety, general mental health and wellbeing, addiction, relationships and social issues.